The order has been stayed till January 18 by a division bench comprising Justices V. Ramasubramanian and N. Kirubakaran, on an appeal filed by the HR & CE department and Ms. G. Sarika of Southern Districts Women's Federation. In the Appeal, the State contended that the order is not in accordance with the Tamil Nadu Temple Entry Authorization Act, 1947. The Act allows temples to lay down the dress code as per customary and traditional practices. Representing the State, Advocate General A.L. Somayaji submitted that it may not be possible to force devotees to adhere to the dress code as stipulated by Justice S. Vaidyanathan. Ms. Sarika’s petition claimed that the dress code violated the individual’s right to wear clothing of his or her choice. It contends that the order was “highly discriminatory,” and “against the fundamental rights, particularly of women and children”. Last month, Justice S. Vaidyanathan gave the direction in a Writ Petition filed by Mr. Rasu seeking to quash the order of the Sub-Inspector Thuvarankurichi Police Station, Trichy declining to grant permission to conduct Gramiya Adal Padal Vizha (village cultural programme). 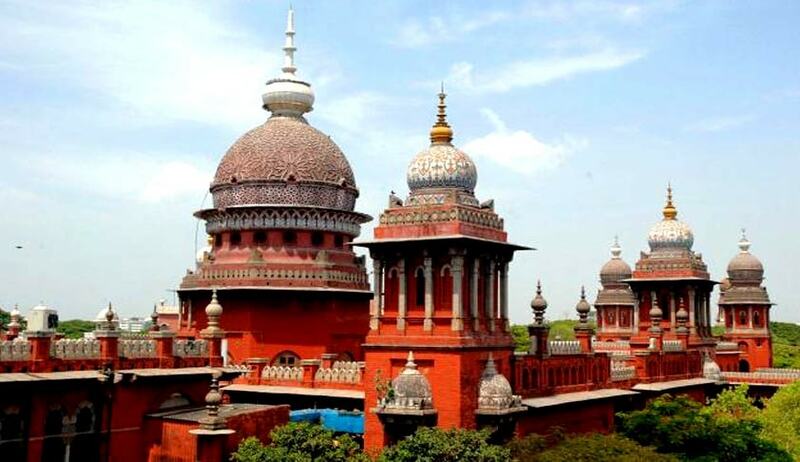 The petitioner had sought for permission and police protection to conduct the same at Sri Shenbaga Vinayagar temple premises in Trichy district. The Court ordered that from January 1 men should wear a “dhoti or pyjama with upper cloth or formal pants and shirts” to temples and women should wear “a sari or a half sari or churidhar with upper cloth.” Children could wear “any fully covered dress.” You may read the LiveLaw story here. Implementing the order, IBNLive reported that several important shrines had put up notice boards stipulating the new dress code. A notice board outside Palani temple prescribes dhoti, shirt, pyjama or pant and shirt for male devotees and saris or churidhar or 'pavadai' with half-sari for women and girls. Devotees wearing lungi, bermudas, jeans and tight-leggings would not be allowed, it said. Rameswaram and Meenakshi temples have also put up notice boards highlighting the dress code.